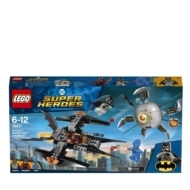 - Includes 3 minifigures: Batman™, Batwoman™ and OMAC™. 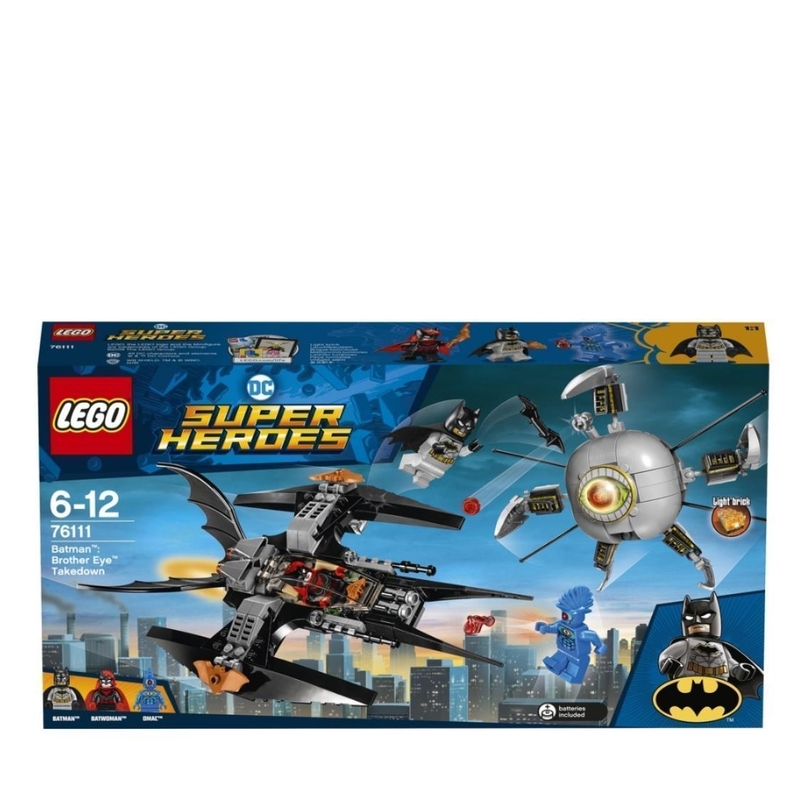 - Batjet features an opening minifigure cockpit, 2 stud shooters, rear Bat-wings and attachments points for Bat weapons and elements. - Brother Eye™ features a LEGO® light brick eye element, adjustable talons and a stud shooter. 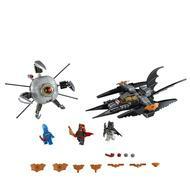 - Includes 11 new-for-August-2018 Bat weapons and elements to customize your builds and minifigures. - Weapons include OMAC's 2 Power Blasts. - Also includes Batwoman's cape. - The Batwoman™ and OMAC™ minifigures are new for August 2018. - Batjet measures over 2” (6cm) high, 9” (24cm) long and 6” (16cm) wide. - Brother Eye™ measures over 2” (6cm) high, 7” (18cm) long and 8” (22cm) wide.